Join us in our formal declaration of war against all red marks and dents caused by glasses. Enough is enough. An open letter regarding the marks left by your glasses. If you’re fed up with pain and marks caused by glasses, you’re not alone. Even Sarah Silverman, one of the most well-respected comedians in the world, deals with the issue of marks left by her glasses. Glasses leave marks because their weight is not distributed evenly across your nose. Glasses that fit spread the weight evenly, so they never leave marks. Therefore, if your glasses leave marks around your nose it’s because they were never made to fit your face. The point is, you deserve glasses that fit. We’re a startup and we make glasses one at a time to fit one person at a time. Each pair is handmade by technology at our headquarters in San Francisco. But there’s no need for a great schlep out to SF — you can do it all with your smartphone. 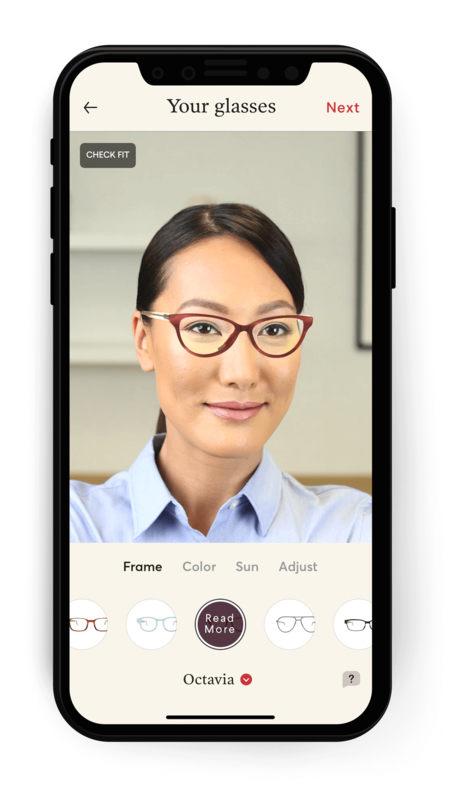 For the last 4 years we’ve been perfecting our one-of-a-kind technology that not only scans your face to capture over 2,000 millimeter-accurate measurements, but also uses those measurements to allow you to customize your own perfect-fitting glasses — all from your smartphone. You can browse our frame styles online and from there, you choose the color, material, and more to perfectly suit your face. We manufacture each pair one at a time at our headquarters in San Francisco using the same premium materials and attention to detail as other designer brands, like Tom Ford. Honestly, it’s pretty cool! But then again, we’re a bunch of dedicated eyewear & custom-manufacture nerds, so I guess we’re bound to think so...? Learn more about custom-fit glasses by Topology Eyewear.